Remember all of those old gems we used on a an everyday basis growing up that are just wasting space in our attics and closets? Well, today I present floppy disks. I recently found around 25 of these old relics stacked away in my closet and for some reason I just did not want to introduce them to the trash can. So, being the crafty person I am, I repurposed them! 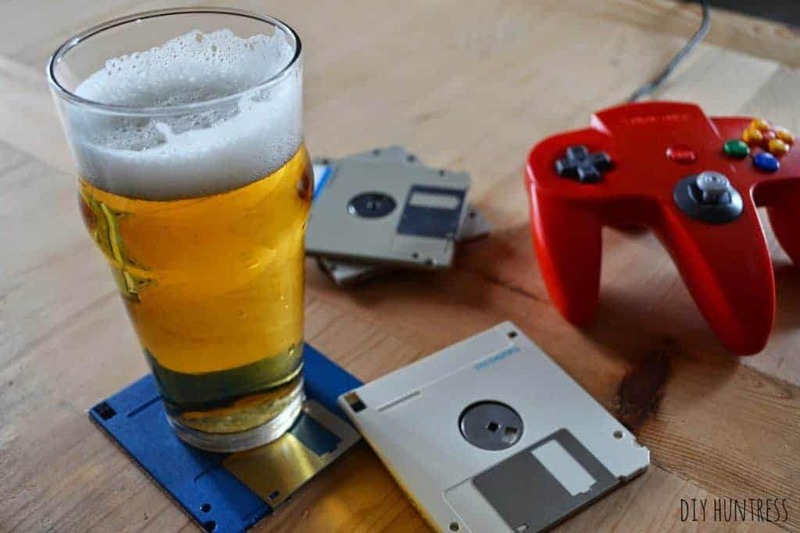 Now they get to be used as cute DIY floppy disk coasters for game and movie nights! 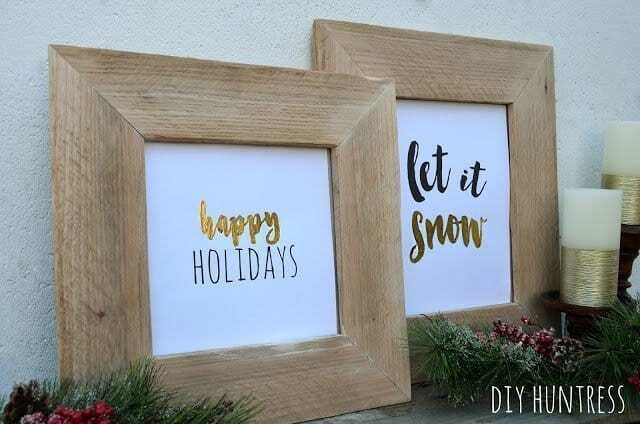 Easy, cute, and affordable! Ready for how easy this is!? Want to save this project for later? 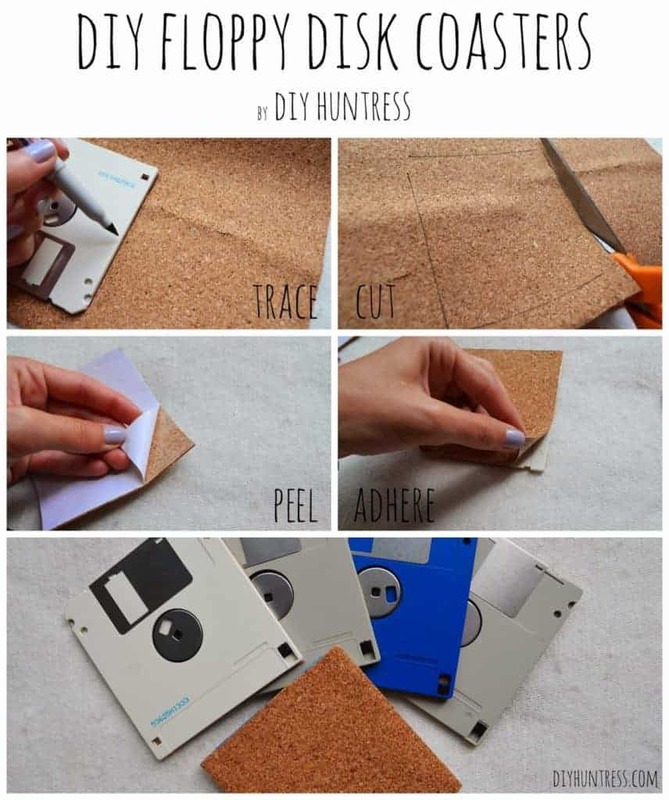 Make sure to Pin this DIY Floppy Disk Coaster tutorial for later! Taa-daa! 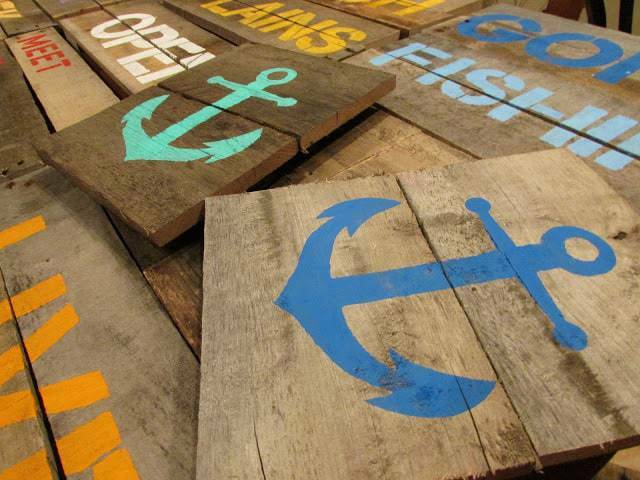 An easy, low-cost, and quick DIY for your next get together! Also, using floppy disks are a great conversation starter for your next party! 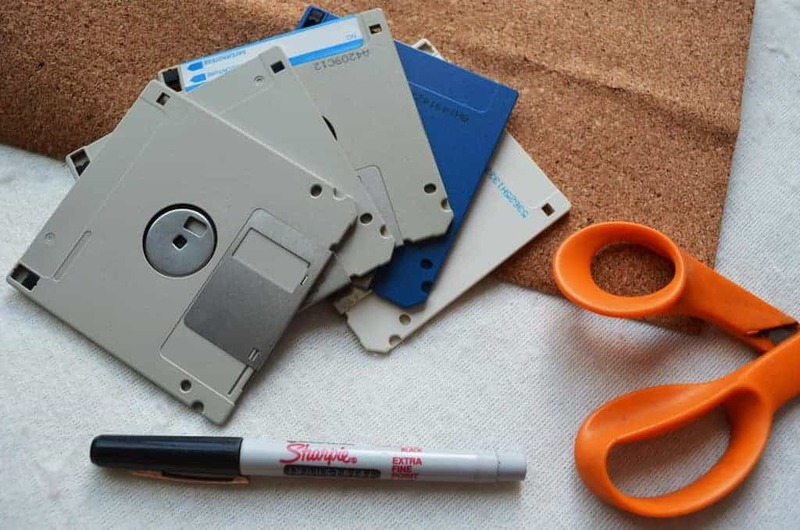 Do you have any leftover floppy disks hanging around? Come share with me some other retro finds you have from your childhood that you’ve upcycled! As always, have any questions? 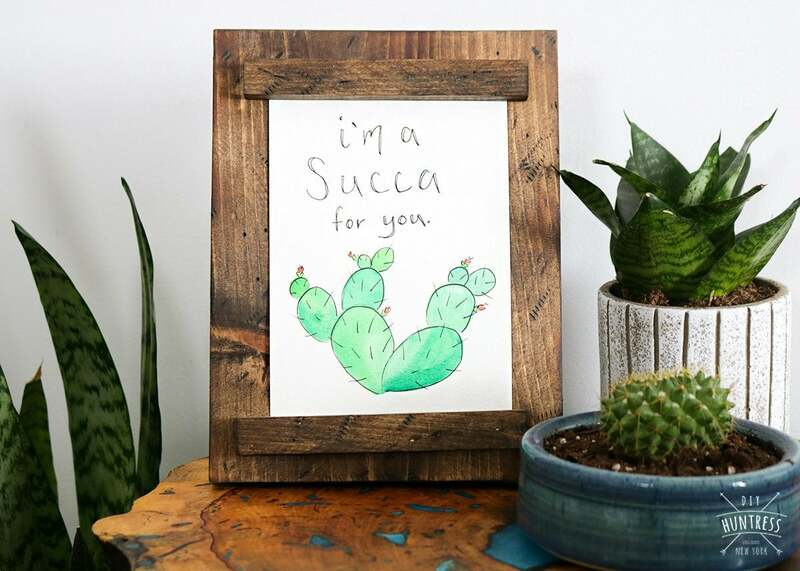 Email me at diyhuntress[at]gmail.com! Also, look out for a fun announcement this week on my Facebook, Twitter, and Instagram pages!